Did you just get your brand spanking new iPhone XS? Are you wondering how to transfer your media, like photos, videos, music, books and more, from your old to your new phone? Perhaps you’re contemplating upgrading to iOS 12 and setting up your device as new in order to get rid of all the cruft that has accumulated over the years? What you need is a capable iTunes alternative that gives you full control over your iOS data. None of the above is trivial, however. You could back up the old phone to iCloud to pick up right where you left off on your new one, but you’d need to buy iCloud storage because the free 5GB tier wouldn’t get you too far. If iCloud backup isn’t your preferred option, you could resort to the old-school option of plugging your device into a computer and syncing with iTunes, but who in their right mind would want to sync with iTunes? And even if you do, good luck selectively restoring particular items, such as specific photos, videos or song files, to your new phone. Making it even worse, iTunes tends to sync a bunch of unnecessary files. But even if you don’t need to move content between devices, it would be certainly wise being able to create and have daily or weekly backups of your media and other important files handy, whether it be for your archive or just in case your device gets lost or stops working properly. The third option involves a specialized iTunes alternative, such as MacX MediaTrans. Created by Digiarty Macintosh Software Group, a division of Digiarty Software Inc, not only does this app sync your iPhone and iPad data the way iTune should, it provides numerous advantages to Apple’s clunky software, including the ability to transfer files selectively from iPhone to Mac without wasting time to sync all the content. As a perk, developers have invited iDownloadBlog readers to get MacX MediaTrans (Mac & Windows version) for free in a time-limited giveaway campaign that’s open until October 15th 2018 (check out this handy comparison of the features in the giveaway version vs. the full version). 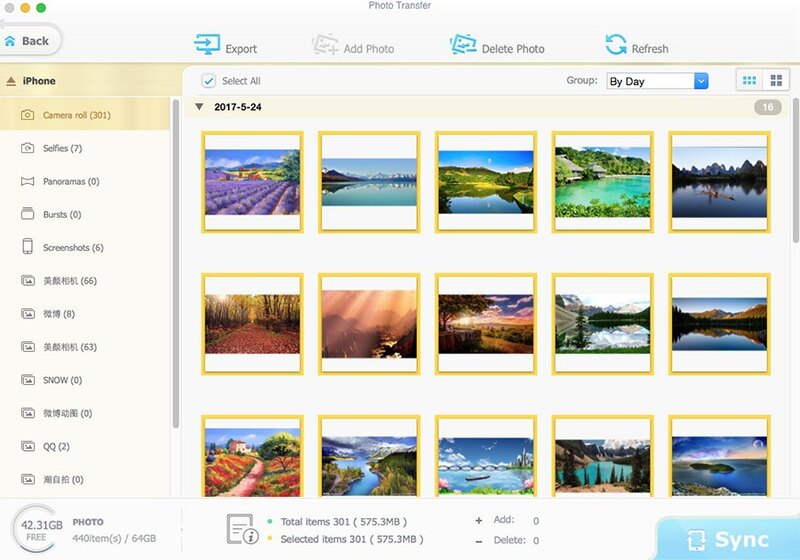 To transfer photos from your iPhone to a Mac, and vice versa, look no further than MacX MediaTrans. Thanks to its speed, it can transfer a hundred photos in about eight seconds and optionally convert HEIC photos to JPEG. HEIC, Apple’s new file format for images since iOS 11, brings half the file size of JPEG without discernible quality loss. As great for saving precious storage space on your iPhone as HEIC is, it’s a relatively new format that for the time being lacks widespread support on desktop. Converting your HEIC photos to the more ubiquitous JPEF format is especially important if you’d like to touch up your shot on iPhone photographs in desktop Photoshop or Lightroom. Folks who transfer their videos from iPhone to Mac, or vice versa, have long been frustrated by iOS’s strict video format support. If you have clips in foreign formats on your Mac (like GoPro or drone videos, camcorder clips, etc. 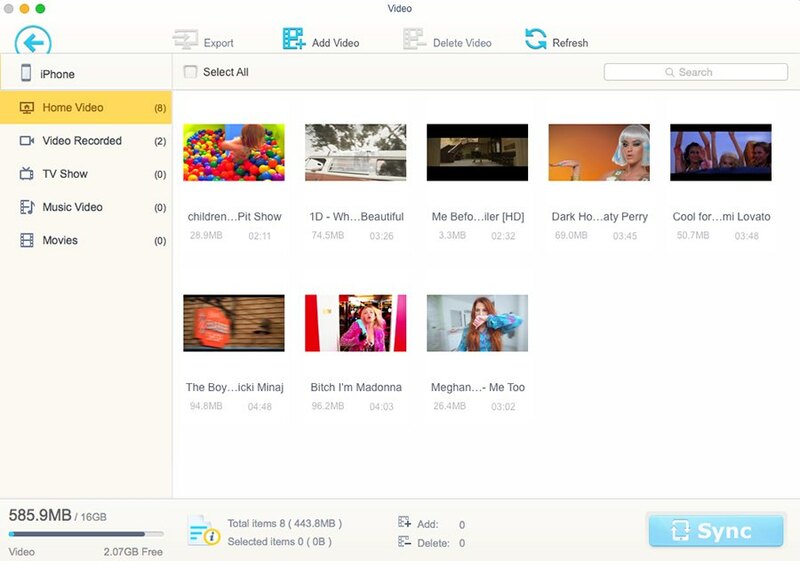 ), it used to be that you couldn’t transfer them onto your iPhone without resorting to a third-party video converter to transcode the files. With this iTunes alternative, you can transfer videos from your iPhone to Mac or your external hard drive. 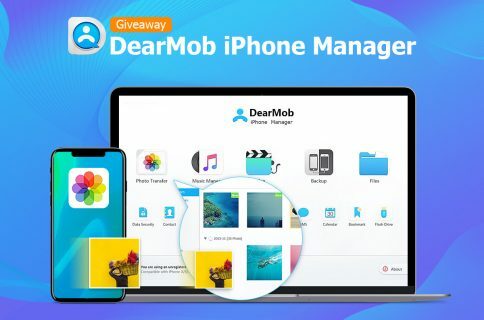 And if you tick the option to delete the videos from your iPhone, you can quickly free up significant amounts of storage space taken up by multi-gigabyte movies, your 4K videos and other personal clips on the phone that you probably have forgotten existed. 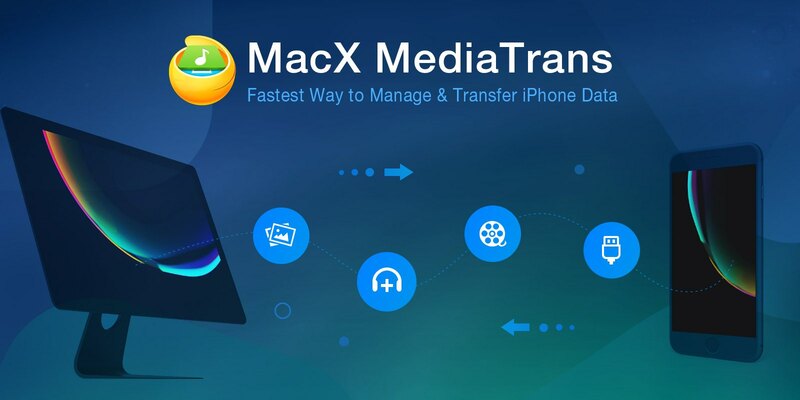 MacX MediaTrans can automatically perform necessary transcoding to make those files readable on the iOS platform, with the ability to use stronger compression that cuts 4K video file size in roughly half, helping save a tremendous amount of storage space on the phone. 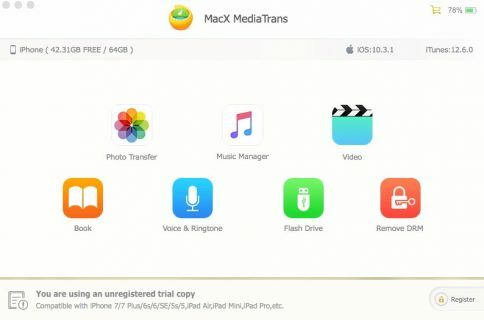 You can transfer videos from iPhone to Mac and transfer music from Mac to iPhone, and vice versa, encrypted—so no one but you can view them without knowing the password. Apple is especially controlling if you’d like to transfer music from Mac to iPhone. To appease record labels, you must transfer music from Mac to iPhone exclusively through iTunes. An iTunes alternative like MacX MediaTrans overcomes these inane limitations plaguing Apple’s jukebox software. 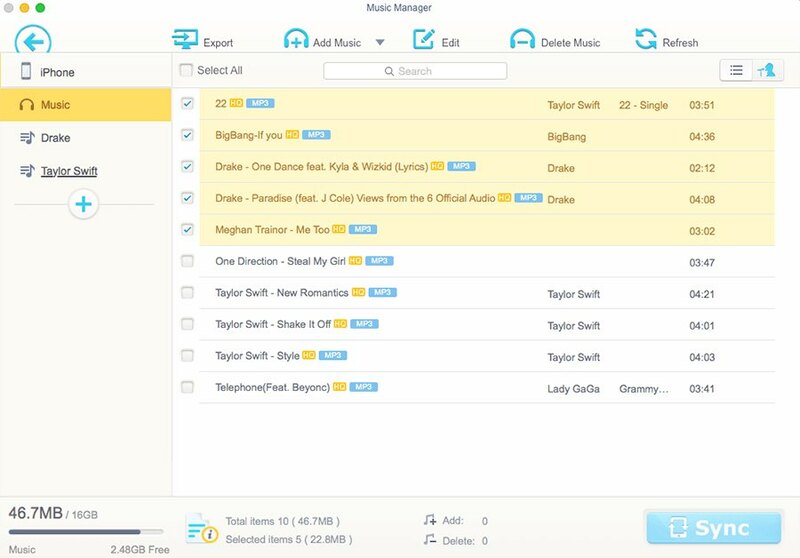 With it, you can transfer music from Mac to iPhone, and vice versa, plus sync specific songs without needing to sync all your music or specific playlists. And with built-in music management features, the app lets you even edit existing playlists, create new ones from scratch and mange albums without any of iTunes’ annoying limitations. Don’t worry, the app supports transferring iPhone music that wasn’t purchased in iTunes Store, plus syncing any downloaded music from a computer to your iPhone or iPad. To help with that, this iTunes alternative can automatically convert music from any of the eight supported audio formats to the MP3 or AAC format required by iOS. It’s especially great that the app sports a built-in ringtone maker: you can easily make ringtones from music snippets and synchronize them to your device at their original audio quality. Selective sync is arguably one of the best features in this excellent iTunes alternative. While desktop iTunes does permit you to transfer specific content types—such as photos, music, movies and more—picking the items in manual mode is very clunky due to the outdated and overly complex iTunes interface. 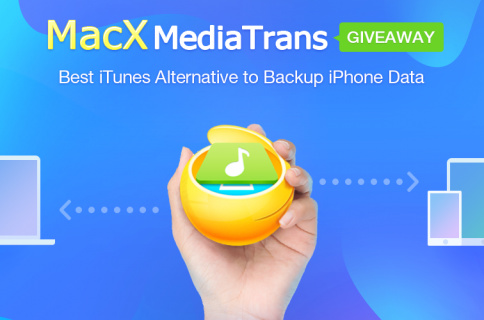 MacX MediaTrans solves your iTunes woes in one fell swoop. Being able to transfer essential files selectively from an iOS device to your Mac, and vice versa, without wasting time to sync everything (especially unnecessary files) is a major benefit over iTunes. Additional perks of this iTunes alternative include basic music management, support for non-iTunes content and DMR, plus more. It’s especially great that this app can automatically convert foreign videos into the formats accepted by iOS and transcode large 4K videos to save iPhone space, which used to require specialized video software. We also liked using our iPhone as an external hard drive for file transfer, the ringtone creator and optional AES 256 encryption on both ends. 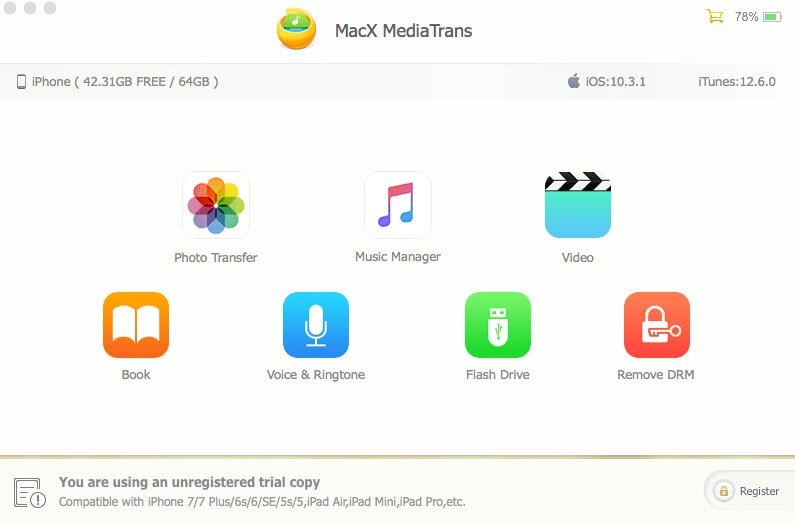 The insane conversion and transfer speed coupled with drag-and-drop simplicity make MacX MediaTrans the most approachable and definitely the fastest alternative to iTunes for everything from syncing data and backing up devices to syncing your media with the highest level of security. For more information about the app, visit the official website. MacX MediaTrans is available via the official website. A 1-year licensee for MacX MediaTrans will set you back $29.95 per year (regularly $39.95). A family license, currently $65.95 per year and regularly $119.95), lets you use this iTunes alternative on up to three different computers and you get their Video Converter software free of charge. A lifetime license for up to two Macs is $35.95 (regularly $59.95).